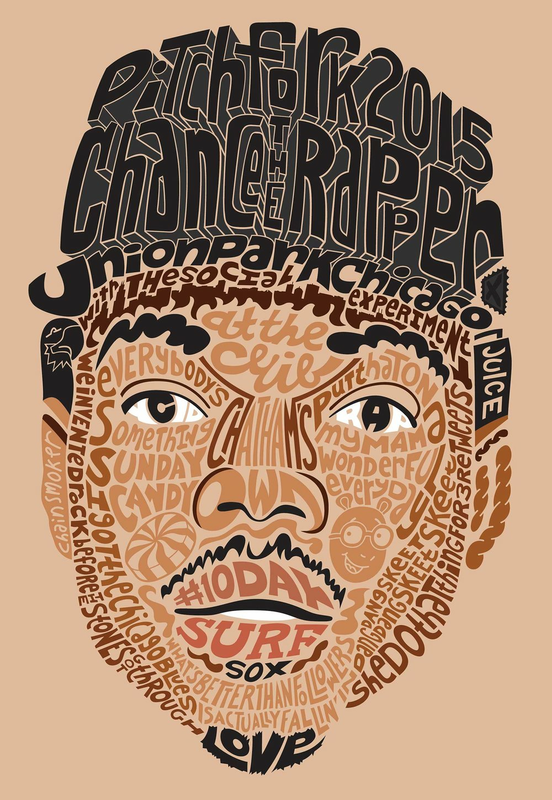 After attending Pitchfork Music Festival in 2015, I was inspired to create a gig poster featuring the main headliner, Chance the Rapper. This illustration will be used as a personal promotional flyer I am sending out in November of 2015. It is a calligram of some of his albums, songs and lyrics.